It’s officially Fall and that means pumpkin is in the forefront of everyone’s mind! Pumpkin lattes, pumpkin muffins..heck! Now they even have pumpkin spice cereal! 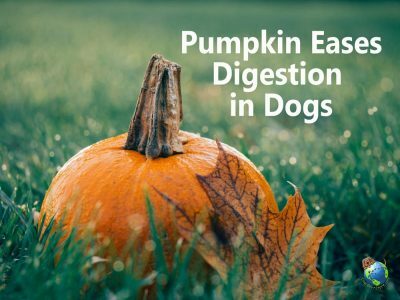 Well pumpkin isn’t only good for “fall-ifying” your favorite foods, it’s good for your dog’s digestion as well. Canned pumpkin is packed with fiber along with a ton of healthy vitamins and minerals. One cup of canned pumpkin has 7 grams of fiber. Working fiber into a dog’s diet can ease digestive problems, including constipation and diarrhea. Soluble fiber is responsible for regulating the digestive system by binding loose stools and also eases constipation by absorbing water into the digestive tract and softening hard stools. Insoluble fiber is what helps keep you regular. Insoluble fiber is not soluble which forces stool to pass quicker which means no constipation! Add 2 teaspoons of canned pumpkin to your dog’s regular bowl of food to help your dog’s tummy! How Do Poochie Bells Work?